It's Amazon's national holiday, so of course the retail juggernaut is pushing big savings for its own Alexa-powered devices. 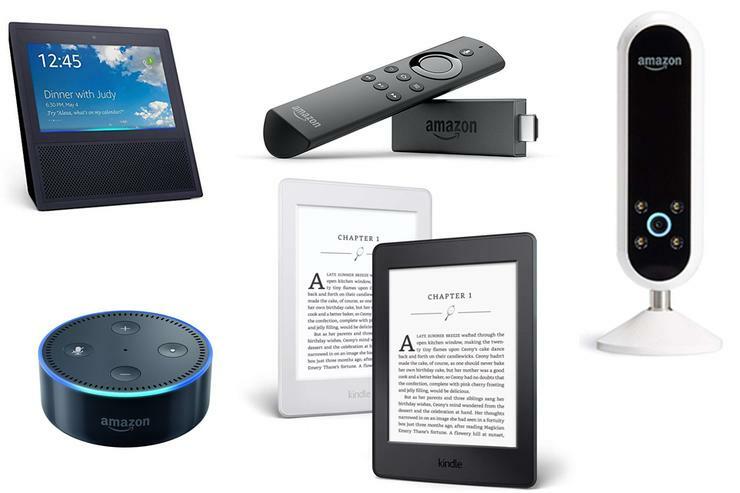 Lest we forget, Amazon made e-readers ubiquitous, tablets affordable, and smart speakers a thing. And just like clockwork, the retail giant is using Prime Day 2018 to drop prices on Kindles, Fire tablets, and Echo smart speakers. Oh, and don’t forget Amazon owns Ring now—so Ring Video Doorbell products are on sale too, along with Amazon's own Cloud Cam. If you want to see the whole line-up of Amazon device price reductions, go to this Amazon page that showcases all the gadgets Amazon makes itself. Or just keep reading for a rundown of what’s on sale by category. Our recommendation: Get the Paperwhite. It’s our favorite overall E-reader. Our recommendation: We prefer iPads and high-end Android tablets, but at $100, the entry-level Fire HD 10 is a steal. Our recommendation: We’re still reviewing the Echo Look, but we feel you can’t go wrong with the Echo Show (it's a full-on smart display) or the Echo Dot (it’s insanely cheap, and fully Alexa-enabled). Incidentally, the Dot is currently back at its all-time low price, which we last saw during Black Friday 2017. Our recommendation: This one’s easy—the TV Stick is a better overall product, and look at that price. Our recommendation: We love security cameras, whether they focus on our doorsteps or living rooms. We never reviewed the Doorbell Pro, but love all of Rings doorbells. And we absolutely loved the Cloud Cam. Of course, you’ll need Amazon Prime to realize these deals (go here to sign up).Remove non-product link You may also consider our suggestions for getting a short-term Prime membership for free.